Played a great live show with Greg Fleming and The Trains and Don McGlashan at The Whiskey Live last night. The show was sold out. 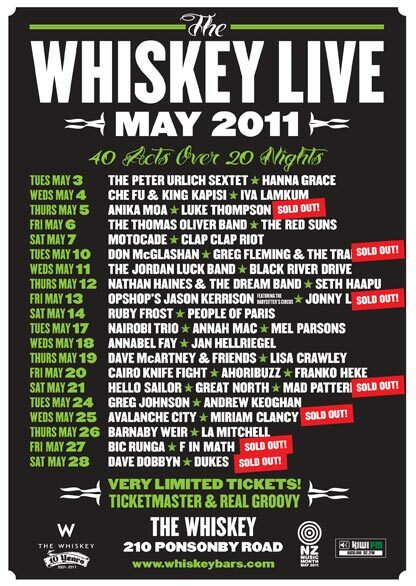 The Whiskey Live runs over the entire month of May featuring the cream of New Zealand's artists and bands. A very small bar means the audience has a chance to get up close to the artists. The Trains played a stripped-back acoustic set featuring songs from the forthcoming album Edge of the City. John and Dom from The Trains also played with Don McGlashan (being members of Don's Seven Sisters band).